Melanoma is a worldwide killer that places a significant associated burden upon healthcare systems across the globe. Professor H. Peter Soyer and colleagues are part of a multidisciplinary team of experts at the University of Queensland, Australia, who are working to improve the early detection and management of melanoma skin cancer through patient-focused translational research. Their vision will be achieved utilising recent advances in genetic risk prediction, cutting-edge imaging and smartphone technologies combined with machine-assisted diagnostic algorithms, on a networked telehealth platform. The outcomes will afford rapid translation of research findings into routine practice and critically improve equitable access to health services in regional areas. Melanoma skin cancer is the third most commonly diagnosed cancer in both men and women in Australia, and the most common cancer in young Australians aged between 15 and 39 years. It affects over 12,500 Australians each year and results in over 1,800 deaths. This burden is not restricted to Australia, with occurrence rates of melanoma continuing to increase across the globe with a global incidence of 351,800 cases and 59,782 deaths in 2015. In addition to this tragic loss of life, treatment of affected individuals, in particular those with advanced disease, places a large burden on the healthcare system. The estimated cost of treating melanoma varies internationally from approximately $45M to $930M, with recent data showing that the direct healthcare costs for new melanoma cases in Australia have now reached $200M per year, a seven-fold increase from $30M in 2008. A melanoma may arise from existing moles or other skin blemishes and usually appears as a dark, irregular patch on the skin, which can be accompanied by itching or bleeding. A major contributor to the change from mole to melanoma is over-exposure to the sun’s ultra-violet radiation, which can lead to damage to the DNA within skin cells. This can cause these skin cells to grow rapidly and out of control, forming a melanoma. If left to develop this can lead to metastasis and the spread of cancer widely around the body. 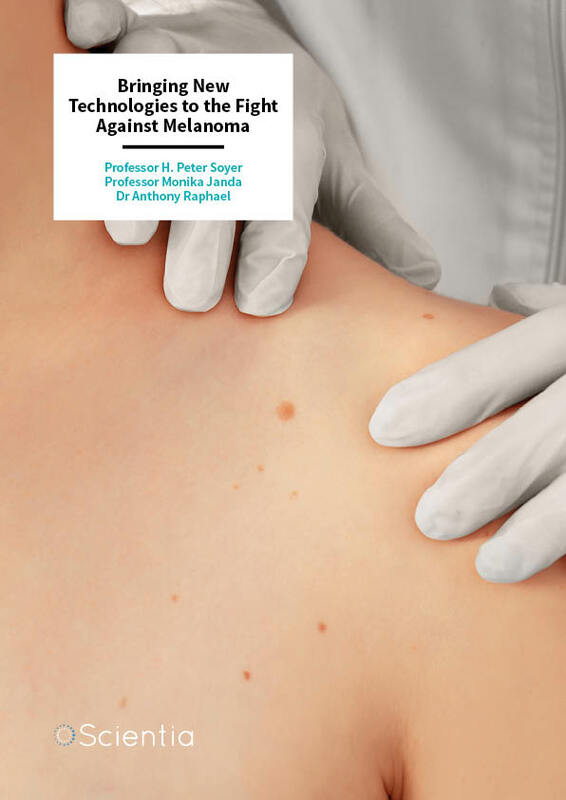 Melanoma is graded by medical practitioners from one to four, with one being the least serious and earliest stage, whilst grade four is more serious, has fewer treatment options and a five-year survival rate of only 15% – 20%. It is therefore crucial that strategies are developed that allow detection and treatment of melanomas before they develop into the later stages of this devastating condition. The challenge of early melanoma diagnosis is that these detrimental changes are not always related to sun-exposure. Individuals with lots of moles, a family history or personal history of melanoma, those with a particular skin or hair colour, and those with a specific genetic make-up are at a much higher risk of getting melanoma. These factors, combined with a lack of consensus on the optimal screening approach, further adds to the challenges in the early detection of this condition. It is evident that diagnosing melanoma in its early stages is imperative to save lives, improve patient outcomes and reduce costs. There is a broad clinical consensus this will be achieved most effectively by targeting appropriate surveillance strategies to those deemed most at risk. In contemporary healthcare settings, early detection activities for melanoma are fragmented. They do not follow a logical or targeted plan for those at highest risk, and indeed are diluted by ad hoc and untargeted early detection efforts including low-risk patients and the ‘worried well’. The development of targeted detection strategies and early diagnosis, is as a result, vitally important to save lives, improve patient outcomes and reduce the associated burden of treatment on the healthcare system. CREDIT: The Dermatology Research Centre, The University of Queensland Diamantina Institute. The State of Queensland in Australia is the, ‘Melanoma Capital of the World’, with the highest rates of those affected in the world and also the greatest associated number of deaths. Professor Soyer and his colleagues Professor Monika Janda and Dr Anthony Raphael from the University of Queensland have teamed up to combine a range of specialist techniques to aid the identification of people who may be at high-risk of developing a melanoma. They are working alongside a dedicated multidisciplinary team at The University of Queensland’s Dermatology Research Centre to create innovative new strategies for the screening of individuals at high-risk of developing a melanoma through the application of new imaging technologies, genetic risk prediction, artificial intelligence and patient behaviour. Cutting-edge technology is beginning to have an impact on diagnosis and treatment through the use of specialised cameras, telehealth networks and image processing systems. The research group is using the VECTRA WB360 whole-body 3D imaging system developed by US-based Canfield Scientific Inc. to capture highly detailed colour images of the whole body. This specialised imaging system uses 92 individual digital cameras to capture the whole skin surface that is then reconstructed onto an exact 3D model of the patient. An additional hand-held camera with an inbuilt magnifying lens is used to add a detailed up-close ‘dermoscopy’ image of the moles for the detection of those that may be cancerous. This imaging system located at the Clinical Research Facility at Princess Alexandra Hospital, Brisbane, is one of the first of its kind in the world. Developing this photographic system from a research tool to a system used in clinical practice allows doctors to monitor moles or other skin problems over time. Whole body imaging technology is very fast and can capture a full data set of the entire skin surface in a fraction of a second. This can be stored and compared with surfaces captured previously to determine if there have been any significant changes. By revealing which moles are changing in a suspicious way and which are stable and just strange-looking, it will also reduce the number of minor surgeries that need to be performed. The future development of artificial intelligent software that can apply risk criteria and classify the number, size, colour and shape of skin moles, assisting the diagnosing clinician, will allow better sensitivity and specificity in detection than that achieved by dermatologists alone. It has been shown that a significant proportion of melanomas were initially flagged as suspicious by the patient themselves or their partner. This fact combined with the ‘era of the selfie’ has prompted Professor Soyer’s research team to focus on the innovative use of smart phones for patients to monitor their own skin. Patients can use their phone to photograph and transmit digital images of a suspected melanoma to a dermatologist for expert review in a process known as, teledermatology. To improve accuracy, the patient’s phone can be equipped with a magnifying lens and a special app to capture and store images of their skin. These images can then be sent automatically by the app to a local medical centre for screening and advice. Recent research on mobile teledermatology has shown that both patients and dermatologists reported high satisfaction and reduced waiting times, however, there were no firm conclusions regarding the diagnostic accuracy of this technology. Currently, there are around 40 apps specifically for detecting melanoma. Some of which claim to be able to assess the risk of a mole on the skin by analysing a digital image and provide an action plan associated with that risk. Professor Soyer and his team recently carried out research on three apps that assess the risk associated with skin moles and found that these apps did not perform very well. The aim of the apps was to classify suspected melanomas into two categories, suspicious or benign. A categorisation of suspicious would mean that some action would need to be taken, whereas the categorisation of benign meant that the issue could continue to be reviewed. The team’s study compared the outcomes of the apps with decisions made by a dermatologist and found the agreement to be poor. The team concluded that the apps could not be a substitute for a clinician’s decision at this stage. It is expected that melanoma apps will continue to improve in the future – however, this smartphone technology will require further research and clinical validation before introduction to public use. Detecting melanoma at an early stage of the disease is very important to improve survival rates, but it is not possible to screen everyone, even in countries where melanoma risk is higher. Professor Soyer and the team are now focusing their research efforts on identifying individuals who are high-risk, so that they can be screened at regular intervals. People with a personal or family history of melanoma are at greater risk of developing a further melanoma. 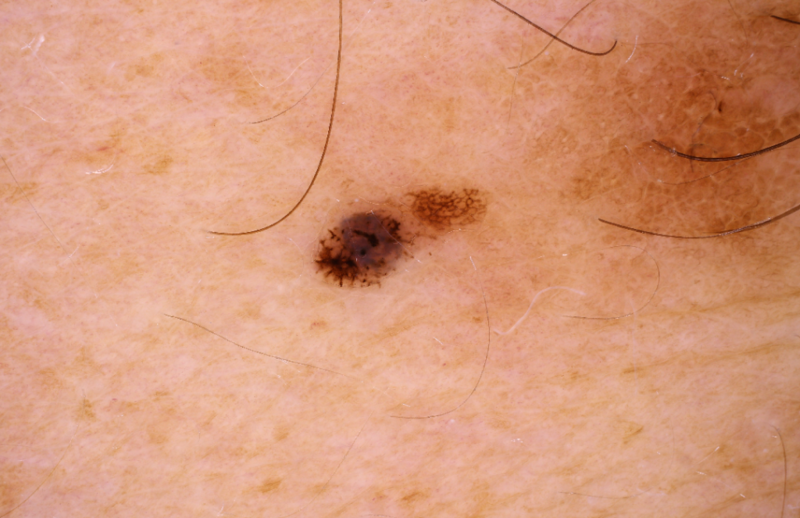 This history together with the number of moles on an individual are the strongest known risk factors for melanoma. However, other factors including fair skin and red hair, in addition to a specific genetic make-up, contribute towards the overall risk an individual has of getting melanoma. Identification of genetic risk factors in the general population through genetic sequencing could make screening of high-risk individuals more precise, so health resources can be targeted more accurately. There are currently no population-wide screening programs in Australia despite predictions that targeting high-risk individuals could potentially improve quality and length of life and reduce the overall cost burden of the disease. Clinicians armed with knowledge about their patients’ genetic risks will be able to monitor high-risk patients closely for changing moles and educate patients and their families about their melanoma risk and the importance of skin self-examination. The team has begun a Randomised Controlled Trial this year, with the aim of comparing health and cost outcomes of their surveillance program as compared to standard care for high-risk individuals, allowing them to further refine their melanoma risk assessment methods. 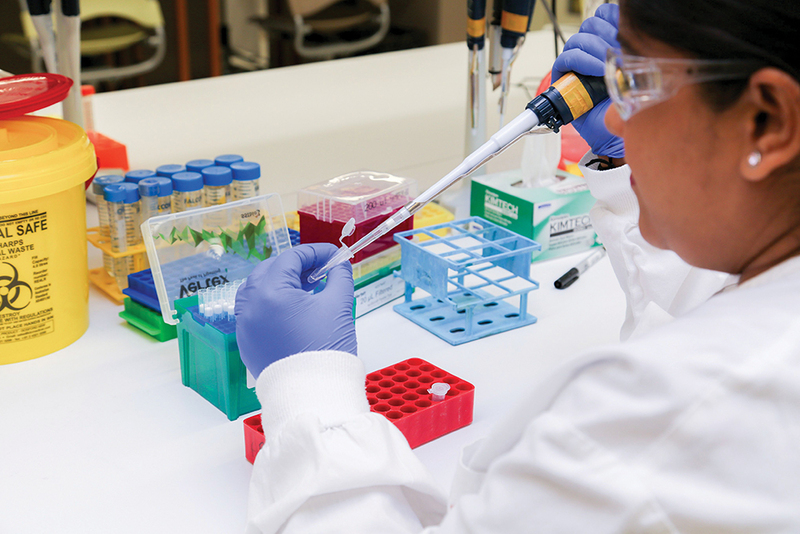 Their overall vision is to establish a state-wide program for the targeted detection of melanoma. This will also allow the training of the next generation of health service providers in early detection, provide expertise in 3D imaging for healthcare, and change current opportunistic screening of high-risk individuals to personalised surveillance, in order to improve the early detection of melanoma and save lives. The research being carried out by Professor Soyer and his colleagues is aiming to, ‘change clinical practice from that of current random screening to a personalised and targeted screening service using newly developed technologies for people at high-risk of melanoma.’ Their vision of precision early prevention of melanoma requires a dedicated team of specialists in clinical imaging, genomics, artificial intelligence and behavioural science. Together they are searching for innovative solutions to improve early detection and treatment of melanoma reducing overall the loss of life and the cost to the healthcare system caused by this devastating disease. Professor Soyer is an academic dermatologist with over 30 years experience in the field, having obtained his degree in Medicine from the Karl-Franzens University, Graz, Austria in 1980. He was appointed as the inaugural Chair in Dermatology by The University of Queensland (UQ) in 2007 and as Director of the Princess Alexandra Hospital (PAH) Dermatology Department in 2008. He has a strong focus on translational skin cancer research in his dual role as Director of the Dermatology Research Centre (DRC), UQ Diamantina Institute, UQ Faculty of Medicine; and leadership of the Dermatology Department at the Princess Alexandra Hospital in Brisbane. Professor Soyer is considered a pioneer in dermatological imaging having led the clinical validation and implementation of dermoscopy. 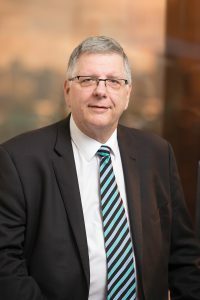 He was founding president of the International Dermoscopy Society and International Society of Teledermatology and is a current NHMRC-MRFF Practitioner Fellow. Professor Monika Janda is a health psychologist with a research background in cancer prevention and quality of life research, with strong clinical collaborations. She gained her PhD in Psychology from the University of Vienna in 2002. She then worked as a research fellow for the Melanoma Screening trial with the Cancer Council Queensland up until 2006. 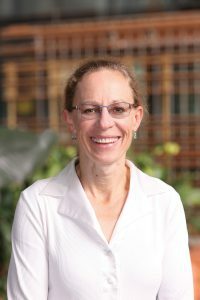 Professor Janda was until recently a Principal Research Fellow and led the Health Determinants and Health Systems Theme at The Institute of Health and Biomedical Innovation, Queensland University of Technology. She is currently, Professor in Behavioural Science at the Centre for Health Services Research at the University of Queensland in the Faculty of Medicine. Anthony has a PhD in Biomedical Engineering from the University of Queensland, Brisbane. He has spent the last decade working on transformative technologies within immunology and dermatology. 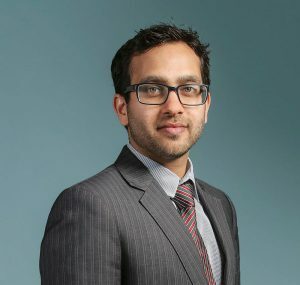 After completing his postdoctoral research at the University of Queensland, he held appointments at Massachusetts General Hospital and Harvard Medical School until his return to Brisbane in 2017. Since then, Anthony has been working with academic dermatologist Professor Peter Soyer on the implementation of 3D total-body-imaging systems for early detection of skin cancer. He has been acknowledged as an emerging leader through his award of Australia’s prestigious NHMRC Early Career Fellowship (2015) and 2016 Rolex Awards for Enterprise Finalist. The Centre of Research Excellence for the Study of Naevi was funded by the National Health and Medical Research Council (ID: APP1099021) and The Princess Alexandra Hospital Private Practice Trust Fund.